On February 9th, the Boeing 747 celebrated its 50th birthday. The revolutionary aircraft flew its debut flight fifty years ago in the skies above Washington State. It came at a time when spaciousness, luxury, and passenger experience were strongly held values in the airline industry. Fast forward fifty years with more than 1,500 aircraft produced and the aircraft once known as the "Queen of the Skies" is now enjoying a slow retirement. Only 536 Boeing 747 aircraft remain in active service with the vast majority serving as cargo aircraft. Of the 536 still in operation, only 187 are configured as passenger aircraft. The current variant of the aircraft, the Boeing 747-8, only has 46 aircraft in passenger service. The majority of passenger-configured Boeing 747 aircraft that remain in service are of the 400 series with 136 aircraft in active service. British Airways continues to be the largest operator of the Boeing 747-400 with 36 aircraft currently in service. In January 1970, when the Boeing 747 entered airline service, the industry was in a completely different state of affairs. Airlines valued the passenger experience and luxury was of the utmost importance. The upper deck on the Boeing 747 was initially used by many carriers as a lounge for first-class passengers. In those days, passengers still dressed up to travel in suits and dresses. When Philippine Airlines introduced its first Boeing 747 into active passenger service in December 1979, the carrier introduced the first ever lie-flat beds for first-class passengers aboard a Boeing 747. They were known as the "Skybed." From its initial debut, the Boeing 747 would spend the next half-century winging its way across the skies as a symbol of the industrial might and engineering prowess of the United States. With the ability to transport more than 400 passengers and a cockpit that sat 35 feet above the ground, the aircraft lived up to its name as the world's first "Jumbo Jet." Today, airlines are more focused on economics than ever, trying to cram more passengers into smaller, more fuel-efficient twin-engined wide-body aircraft to maximize profits. Many carriers including Philippine Airlines have since retired their Boeing 747 fleet. 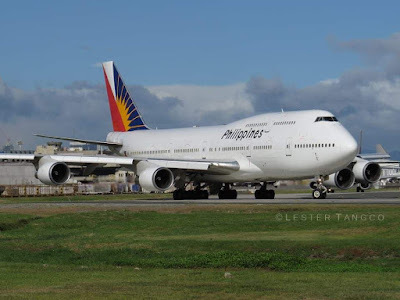 Philippine Airlines operated its last 747 flight from Manila to San Francisco on August 30, 2014. Airlines now seek out modern aircraft that can fly longer at less cost. While many Boeing 747 aircraft have now been scrapped, others have been re-purposed as hotels and unique attractions. Asiana Airlines is one of the last carriers that still operates the Boeing 747 on a regularly scheduled basis to Manila. 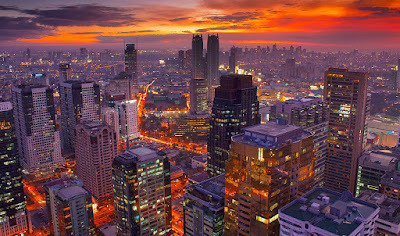 The Ninoy Aquino International Airport is now heavily dominated by Boeing 777 aircraft and next generation aircraft such as the Boeing 787 and A350. The good news is that with the Boeing 747-8 still being a relatively new aircraft, it is quite likely those aircraft will be flying for a relatively long time into the foreseeable future. Meanwhile, for those in the Philippines wanting to ride on the "Queen of the Skies," Asiana Airlines offers daily jumbo jet service from Manila to Seoul-Incheon. *Note: Korean Air operates daily 747 service from Manila to Seoul-Incheon until April 16,2019. Correction: Korean Air and Asiana Airlines regularly use the Boeing 747-400 to Manila on both of their morning flights from Seoul. Thanks for letting us know. We will make the corrections. However, Korean Air will be ending Boeing 747 service to Manila on April 16.